To support customer satisfaction with a bigger inventory for their vehicles, Isuzu Philippines Corporation (IPC) has inaugurated its latest warehouse located in Taguig City. 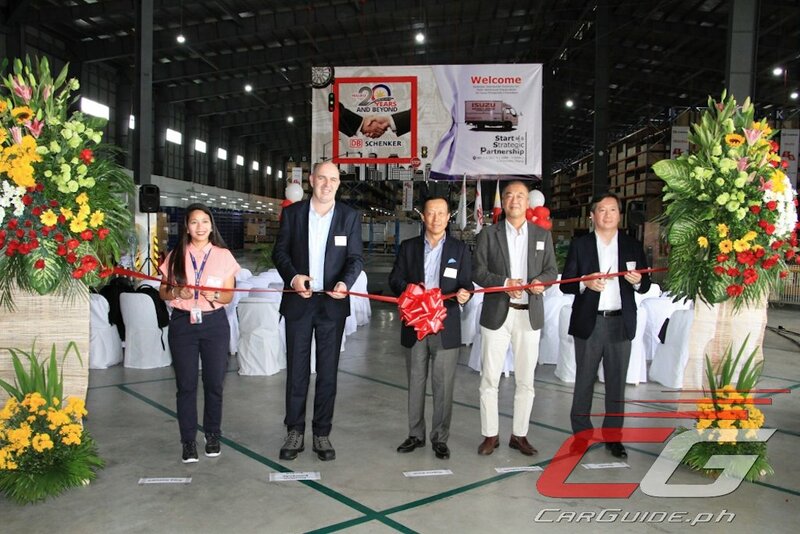 In partnership with DB Schenker (Schenker Distribution Solutions Inc), IPC opened the DB Schenker Levi Mariano Warehouse last July 18, as start of a strategic partnership between the two industry leaders. The ribbon cutting ceremonies was headed by IPC president Hajime Koso, EVP Shojiro Sakoda, Isuzu Motors Limited Japan after sales division executive officer Hiroshi Hisatomi and DB Schenker Managing Director Jonathon Kottegoda Breden. Transferring its parts warehouse to their new home, the newly-inaugurated facility warehouse for IPC—which will be hub for all Isuzu parts and accessories—is now strategically-located nearer to Isuzu dealerships. 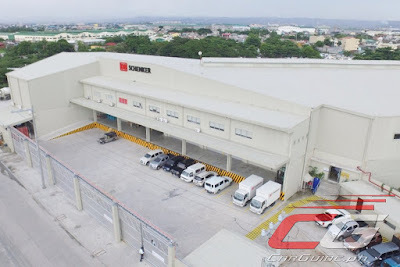 Situated at Pedro Cayetano Avenue, Ligid-Tipas in Taguig, the allocated space for IPC at the DB Schenker Levi Mariano Warehouse is 6,000 square meters as compared to the previous warehouse of 3,586 square meters. The DB Schenker Levi Mariano Warehouse still has some 1,600 space that can still be utilized should there be a need for expansion. 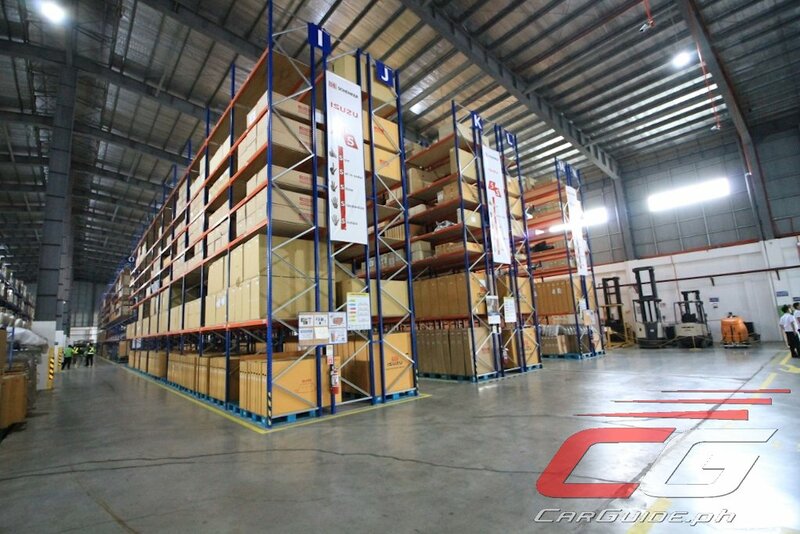 Moreover, it has more than 12,000 stocks locations ranging from bins, to shelves, to selective racking and even block stocks intended to securely and properly store the various parts for wide array of Isuzu vehicles. IPC transferred its parts warehouse to this new facility that has bigger space and nearer to port and Isuzu dealerships. Aside from addressing the need for a bigger warehouse space, IPC chief Hajime Koso said that the move was made to improve three major concerns from growing sales of units, storage space and customer satisfaction. To address all these, Koso said, they need to maintain an inventory sufficient to the growing needs of customers, implement proper racking and shelving of parts with sufficient space that would, in turn, improve delivery frequency to dealers and delivery lead time. “We see this new partnership as a good investment for Isuzu. We would like to continuously improve on our efficiency in making our vehicles as well as catering to the needs of our customers,” Koso said. Further, Koso also said that that the move is in line with their celebration of being two decades of successfully being the responsible partner and meeting the demands of the Filipinos through their line-up. “To the 20 years that has passed and beyond, rest assured that IPC will continue to develop more ways to attend to the growing demands of the market. We will continue our pledge in serving this nation,” Koso claimed.